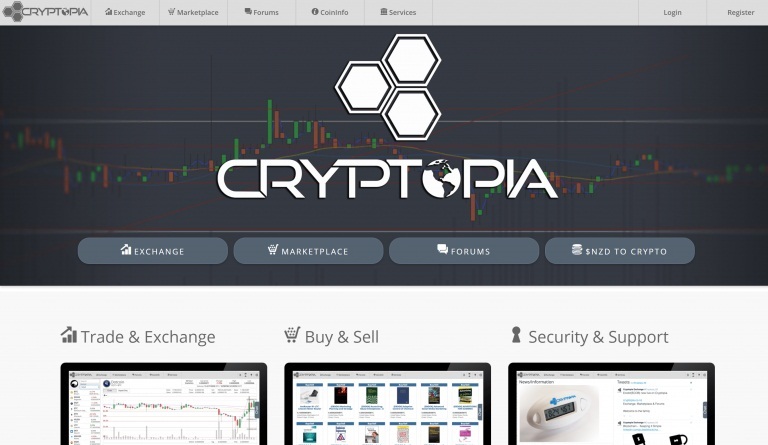 Cryptopia is an innovative trading exchange, which was launched by Adam Clark and Rob Dawson in 2014. 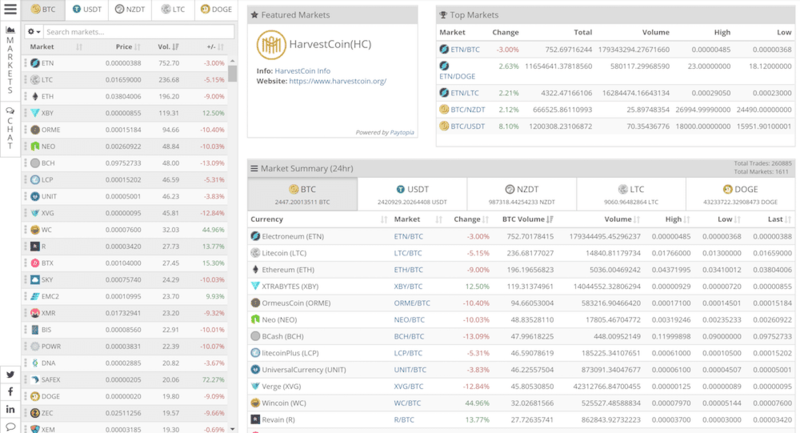 It heavily focuses on creating a fully immersive cryptocurrency experience for users, making it a one-stop shop for all trading, information, and news. There is a lot to enjoy about Cryptopia—from the massive selection of altcoins to the added functionality of forums and the unique marketplace. In particular, traders based in New Zealand will delight at what is being offered, including the ability to deposit local fiat currency. In this review, we discuss all the major talking points about the service and its functions. And ultimately, we’ll find out whether or not it suits your cryptocurrency needs. Cryptopia’s currency support varies, depending on what you look for in a cryptocurrency trading exchange. The first thing to note is that there are minimal fiat currency options. Deposits continue to be available for users with a bank account in New Zealand, even though NZD deposits and withdrawals are still a little time-consuming. These transactions manually process via an online support ticket. You need to provide bank details on their contact form and request a deposit or withdrawal. Once you agree to the terms, your account is credited with an amount of NZDT (Tether), which is equivalent to fiat funds. The minimum deposit amount is $25 NZD. For a much smoother experience, it is advisable to move the funds via your chosen cryptocurrency. As you would expect, this automatic process is much speedier, and it occurs in minutes, rather than days. Over 400+ cryptocurrencies are available to deposit, withdraw, and trade. And of course, they include Bitcoin, Litecoin, and Ethereum. Trading pairs maximizes the flexibility of trading with BTC, USDT, NZDT, LTC, and Doge. The Cryptopia fees are not always easy to find on the website, so they remain a little unclear. This ambiguity is particularly strange, considering how much they seem to value in-depth information and usability. The market-trade fee is pretty reasonable: It’s a static 0.20% for every trade, which is around the industry standard. Although there is no stated withdrawal fee, it can still become a costly experience, depending on which blockchain you use. Bitcoin will sting you with a high rate, which (at the time of this writing) could increase to 0.002 BTC or $35 USD / $50 NZD. I don’t think that this increase is necessarily Cryptopia’s fault. Rather, it’s an indication about the overall state of cryptocurrency. If possible, it could be a good idea to trade funds into Litecoin for withdrawal, as it is cheaper and faster. Right now, that’s not a bad option for saving money when moving funds around. Naturally, this solution is not for you if you are looking to hold Bitcoins in a hardware wallet long-term. It also presents liquidation problems for some users, but it is far easier to sell Bitcoin in fiat than any other altcoin. Customer support is continually a real sticking point for virtually every cryptocurrency operation. Parabolic growth in user bases makes it really tough for companies to keep up with demand, including Cryptopia. General queries are made via a contact form, so urgent support tickets don’t provide a relaxing experience. However, a hefty FAQ page and accompanying forum accompanying are provided, which are ideal when trying to find out general information about trading and cryptocurrency. Worryingly, reports of almost nonexistent customer support leave a cloud hanging over an otherwise-impressive service. 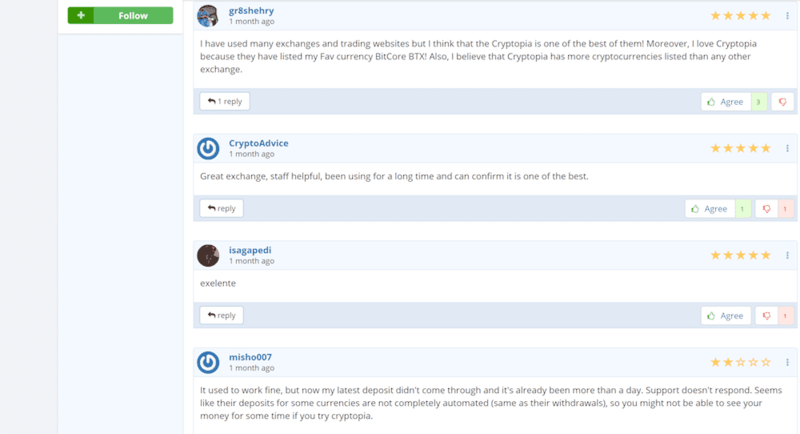 Cryptopia is generally well-regarded by its users. Therefore, many users have great things to say about the service. Once you’ve had time to play with all the features and functions, the usability is amazing, and there is so much to see and do. Crypto traders love the extra functionality, combined with the mindboggling selection of altcoins. Users have expressed frustration about the customer support regarding Bitcoin withdrawals—since they have a slow response time, if any at all. It is important to understand that Bitcoin withdrawals are not completely free, but one imagines that the charge is out of Cryptopia’s control. Generally, it is quite difficult for users to pin down exact fee listings, so there is currently no information available about creating an online account. While most of the problems and frustrations with Cryptopia are valid, they appear to be more symptomatic of the cryptocurrency industry as a whole. Otherwise, it is a well-regarded, trusted website that offers much more than just a Bitcoin trading exchange. 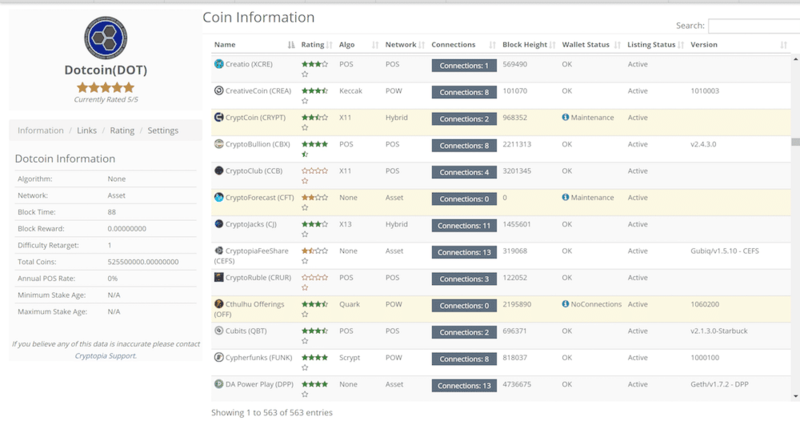 I really like that Cryptopia has a large selection of features. 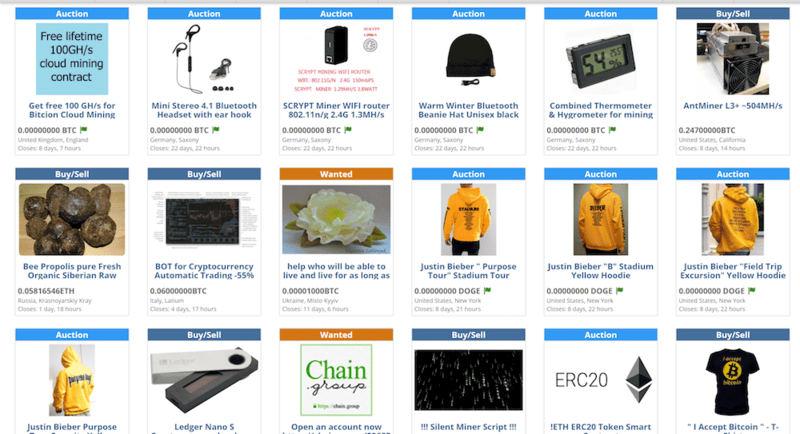 The marketplace is unique, which allows users to buy and sell any items as they wish. It’s kind of like a new Crypto-eBay. However, there’s some pretty odd stuff on there: Does anyone really want to buy bee glue and ether at the same time? Nevertheless, there is a dearth of information available on this site. The design is well-thought-out, and you won’t end up with a million tabs open. Conclusion: Is It a Good Exchange? Especially for customers based in New Zealand, Cryptopia is a pretty good option for cryptocurrency trading exchanges. There is so much occurring on this site that you could spend hours just reading, researching, and finding new coins. While the site does suffer from the usual Bitcoin problems, you are likely to have a smooth experience, if you are willing to find workarounds and trade altcoins. The minimal customer support for fiat currency means that you really have to stay current about the cryptocurrency realms, which probably won’t be a problem for most regular traders. Overall, the depth of the website makes it a really exciting prospect for the future, and I will certainly be keeping an eye on all developments.